The Great Council of the Eastern Orthodox churches has come and gone without much fanfare, let alone media headlines, but the week-long gathering of prelates from around the world in late June did reveal fissures and fault lines that will shape the Orthodox future. The Great Council, held in Greece and planned for over a century, had not been previously held for a thousand years due to the schism between Catholicism and Orthodoxy and subsequent social and political upheavals and obstacles to Orthodox unity. For many observers, the refusal of several bishops (from the Russian, Georgian, Bulgarian, and Antiochian churches) to attend the council became part of a plot line involving rivalry, competition, and the growth of fundamentalism and traditionalism in world Orthodoxy. At a call-in conference run by the Council of Foreign Relations, political scientist Elizabeth Prodromou said the narrative about rivalry for dominance in the Orthodox world between the Ecumenical Patriarch, historically the “first among equals” in Orthodox leadership, and the Moscow Patriarchate of the Russian Orthodox Church led the media coverage of the event, particularly over the concern about whether the former would exercise pope-like authority. Prodromou says this narrative was first “laid out by the Moscow Patriarchate and more specifically the Putin government…. That the church has been able to exercise leverage over the other three who didn’t come [is] also very much related to Russia’s geopolitical objectives in Europe and Eurasia….” That the council spoke out forcefully against religious nationalism did not please the Russian state, but the Russian church is limited in maneuvering within such an authoritarian polity, she adds. 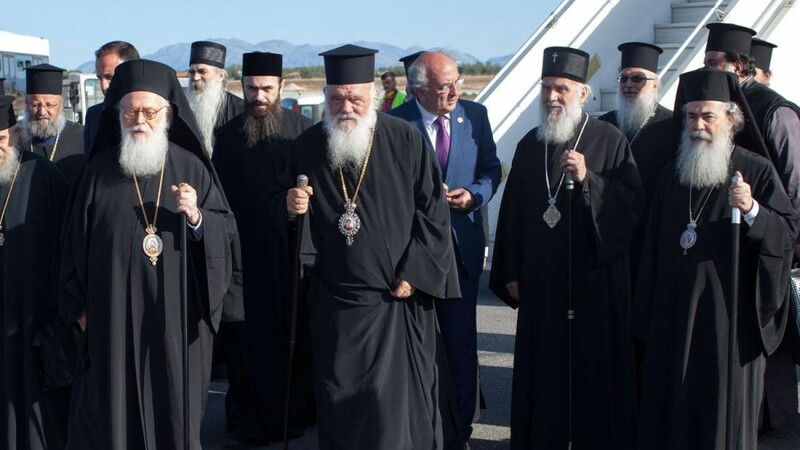 The council showed the Orthodox churches in Cyprus and Albania among the most open on a range of issues, particularly the relation of Orthodoxy and democracy. In fact, it was the bishop of Cyprus who said at the close of the council that the “single greatest challenge” to unity and progress within the Orthodox Church is “fundamentalism.” Several other church leaders and observers have targeted Orthodox fundamentalism as hampering the work of the recent council. RW attended a conference at Fordham University in New York in late June that specifically sought to define Orthodox fundamentalism and come up with a response to the phenomenon. The dilemmas of defining and applying the elusive concept of fundamentalism to Orthodox churches marked many of the presentations. Amish church planting for converts?